That was for the good part, but the people with oily skin also face some problems. The problems go from some really rough patches as the skin produces excess sebum, which leads to a greasy and shiny skin. 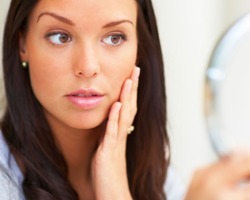 This leads to some concerns like acne, pimples, blackheads, whiteheads etc. Plus to add to that- pollution, dirt and other irritants stick to that skin easily and especially to those who have really oily skin. What’s the solution then? Well its simple, we need to reduce the oil formation on the face to curb the problem at hand. We here just need to follow some skin care tips I will just share with you. Here do not scrub your skin in a harsh manner. It is very important to be regular in scrubbing if you have oily skin. Do scrubbing at least 3 times in a week to keep that oil production in control. That excess sebum produced by your skin leads to a number of dead cells which result in various problems like pimples, acne, white heads etc. You also need to exfoliate your skin regularly to eliminate the dirt on your skin. A good toner for all you oily skin girls is a must. You can use rose water as a toner for clearing excess oil and eliminating oil from your skin. Not just rose water you can use any good toner from the market. It is an essential part of you daily skin care routine, so you have to continue doing it daily. Generally people with oily skin tend to skip moisturizing but that is just so wrong. People with oily skin need to moisturize regularly as oily skin also needs the same moisturizing and hydration if not more. 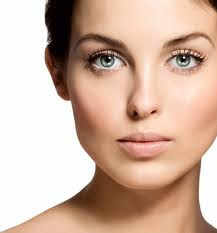 If you do not moisturize the skin then it only fastens the sebaceous glands to produce more oil. Thus you should go for an oil-free water based moisturizer and moisturize the skin without a fail. Well a face mask at least once a week is highly recommended for people with oily skin. Put weekly- fuller earth (multani mitti) and rose water’s face pack as it is highly effective for oily skin. You can also use a papaya + lemon face pack to treat your face with. This will control the shine and hydrate your skin. When you already have an oily skin you don’t want to have junk or oily food as it increases the oil secretion from your skin. Plus to add to that drink lots of water everyday as it helps you keep yourself hydrated and also pushes out harmful toxins from your body. Add fruits and veggies to your diet. All these will help reduce the excess oil from your skin. You can use these ways to come over the problem of your oily skin problems. I hope these are of help for you, do share with us your results. Till then stay beautiful, stay healthy..!